Once upon a time, deep in the heart of Texas, a wild dreamer of a guy fell in love with an enchantingly spunky gal. They decided to get married and plan a honeymoon. They had an idea to visit 5 different cities where they were considering relocating to and settling down one day. After browsing an article on Do It Yourself RV about renovating an older RV, they ditched their original Airbnb lodging plan, bought a 1994 class C motorhome (named Franklin), and planned an RV honeymoon. Then, while doing some route planning, they thought–why not just quit our office jobs and go visit all 50 states? And that is how their RV life began. 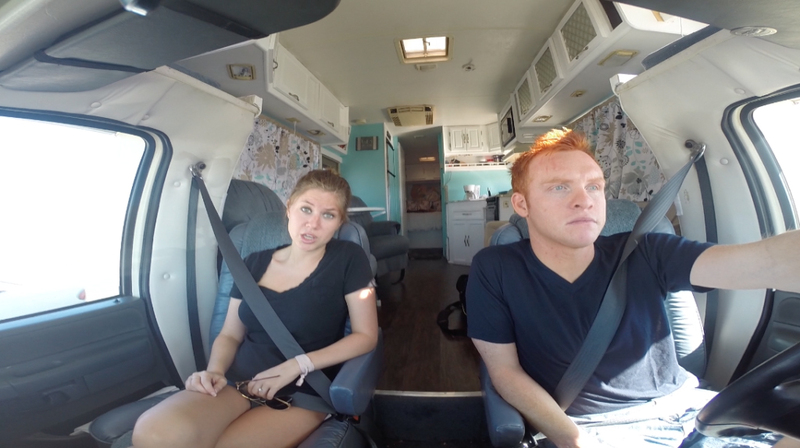 Heath and Alyssa Padgett aren’t your typical 20-somethings. With backgrounds in public relations, business and communications, they are both highly energetic, creative, and business-savvy people who love to travel and have adventures. 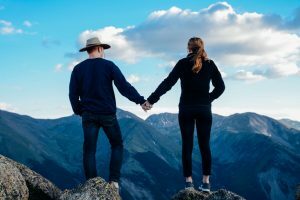 So when they decided to spend their first year of marriage traveling to each state in an RV, they wanted to have a project to focus on as well. Heath came up with the idea to take an hourly job in each state—to see what sort of other jobs are out there. Before you know it, a few sponsors had signed on, Alyssa had thrown herself into learning the art of video production, and they were filming their documentary “Hourly America”. With the help of Snagajob, Heath tried his hand shadowing people in each state doing a wide variety of hourly-paid jobs. He made pizzas, worked on farms, became a zombie, taught stand-up-paddle boarding surrounded by whales, and flew by helicopter to Kahiltna Glacier at the foot of Denali with the National Park Service. Through the process, they fell in love with a nomadic life and learned that they could make an income while on the road. They never looked back at their former office careers. Now a few years into their RV life, Heath and Alyssa have nearly paid off all their student debt, have traveled to every state in the US, and are successfully running their own business from their home on wheels. They are now driving a 2016 Winnebago Brave 31C they call ‘Merica’ fitted with the Weboost 4G-X RV cell booster to keep connected while on the road. Driven by their passion for RV travel, they have a career blogging, doing freelance video production, hosting weekly podcasts, sharing videos on their YouTube channel, have written a book, offer an online course on how to live inexpensively while on the road, have created a Facebook group to share ideas for generating income on the road, developed management software for their website campgroundbooking.com, and host an annual Summit for nomadic entrepreneurs. They set a goal to each learn one new thing a year. They are busy enough now that they are starting to outsource some of the editing and online admin tasks so they have time to keep traveling and taking on client work. 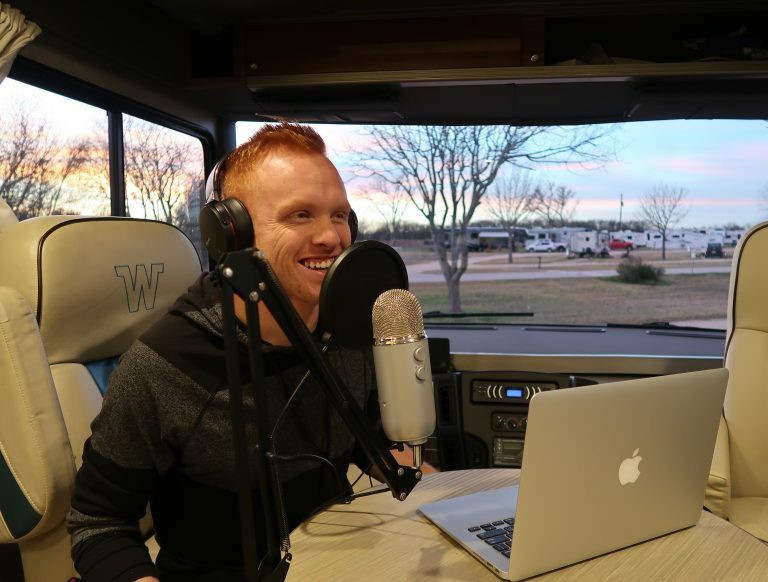 In late February 2018, the couple hosted the second RV Entrepreneur Summit in their home state of Texas. It was an exciting opportunity for nomadic entrepreneurs to gather and share their experiences, learn from one another, and have some hands-on workshops to learn valuable tools to build and grow their businesses. Numerous guest speakers shared their success stories, the lessons they have learned, and how their careers have changed during their time RVing. There were also tactical workshops to teach specific skills like night photography, building WordPress sites, and how to get mobile internet. Heath explains that it is as much a social gathering with wine tastings and pre-conference activities as it is an educational opportunity. 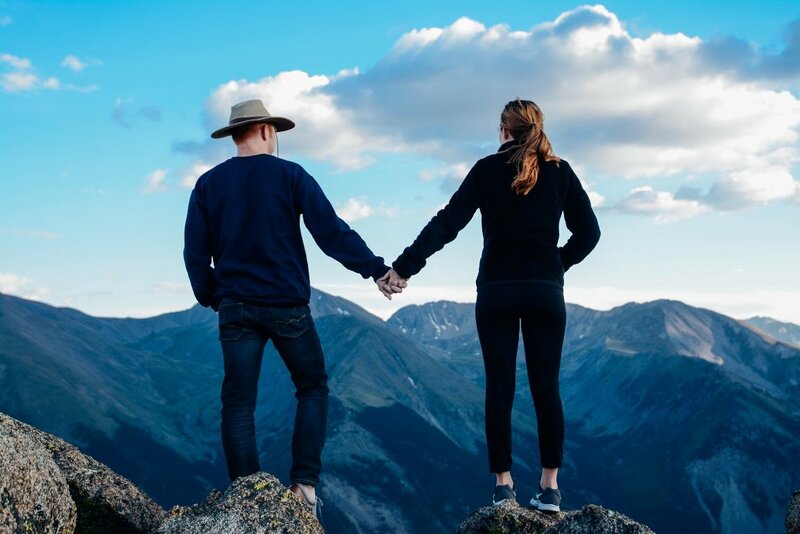 Heath and Alyssa feel that these gatherings are a great way to build community and meet other RVers that are undertaking similar enterprising endeavors. At the first RVE Summit, 120 people attended, quadrupling the couple’s initial attendance expectations. The early-bird registrations for the 2018 gathering sold out in less than 2 hours! 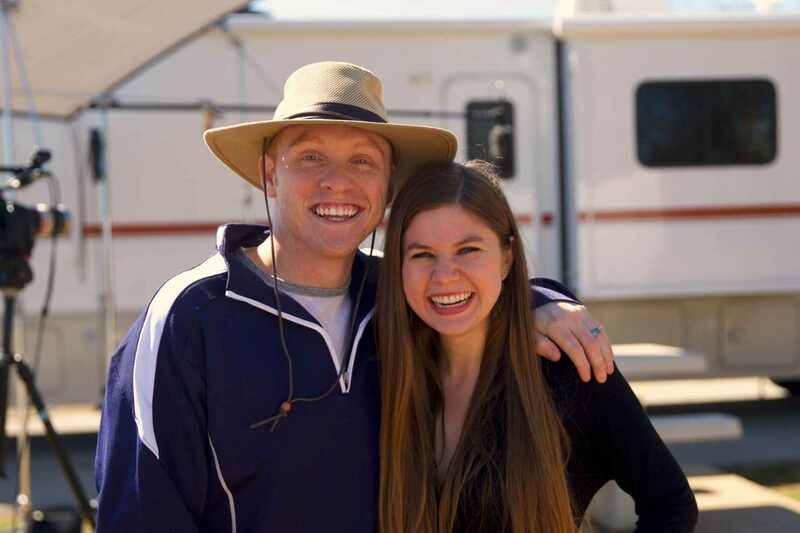 As one can imagine, Heath and Alyssa have poured themselves into their enthusiasm for RVing and their business. Through their website, they candidly share their experiences with others—everything from business hurdles (and solutions) to life as newlyweds living and working together in a small space. Alyssa explains that it is a different lifestyle, and sometimes the lines between work and life are blended. Their rule is that before anything is posted online, the other person has to approve. They have been surprised by meeting people who already know so much about them from their blog, but feel grateful for the closeness of their RV community. The couple does crave visits from their friends and families while they are on the road. Many of their RV friends end up crossing paths in different places across the country which allows them to enjoy new adventures together. The couple spends the holidays in Texas near their folks, enjoying Texas when it isn’t so hot. Their newer RV has a bit more space, so they are able to have people visit them as well. Heath says that over three years of traveling, the longest period of time they have not seen their family has been 3 months. What’s next for this dynamic couple? Alyssa says that during their trip through Canada on their way to Alaska, they were inspired to do some international RVing. They are currently researching and dreaming up ideas to possibly travel to New Zealand, Australia, and Europe. Follow along with them to see what other adventures and opportunities are down the road! Hi my name Robert …did this for years the days of pagers. ..and now cell phones still have the finstructions 10 inch cell ..big baby but still works .traveled when pour find work ..summers where cool winter where warm ..I was by my self and my dog Annie .pick up at first a later a trav traler and motor home …as age caught up ..staying around the ranch now g thanks for the memory and enjoy. Robert p s had 3 dog’s over the years Annie 3 is still with me ..miss gold panning..cattle ranchers. .cannery s …again thanks….